I probably come in the 5% of the people in the world who don’t love chocolate, but even I have to admit chocolate can be an addiction and a definite mood enhancer. Keeping this in mind it is no surprise stores and cafes serving specifically towards Chocolate culture are the current rage. Namely The Chocolate Beetle and The Cocoa Trees. The Chocolate Beetle is known for its Signature Belgian Chocolate truffle cake, Beetle’s Brownie sandwich, flavoured hot chocolates in hazelnut, mint, cinnamon & irish cream, Signature Belgian Chocolate truffle Shake, Low fat gelato’s & ice creams, Gulkand filled chocolates, Message chocolate bars , selection of imported chocolates. Offering low sugar & low calories offering for calorie conscious & diabetic in form of no added sugar chocolate bars, diet chocolate gelato, other low fat gelatos. It also offers customized gifting options for weddings as well as corporate gifts. Founder and Director The Chocolate Beetle Gurjeev Gulati says “The Chocolate Beetle Community” is consistently serving and delivering the highest quality chocolate products and providing outstanding personalized service in a vibrant, unique retailing concept.” Well I have not tried it personally, but it seems interesting from the looks of it. While The Cocoa Trees retail boutique is a fun, interesting and exciting confectionary concept store utilizing a ‘shop-in-shop’ concept designed for all ages. The store has bright, tidy and warm interiors amidst vibrantly coloured shelves stacked with an effervescent range of brands and a wide assortment of treats. 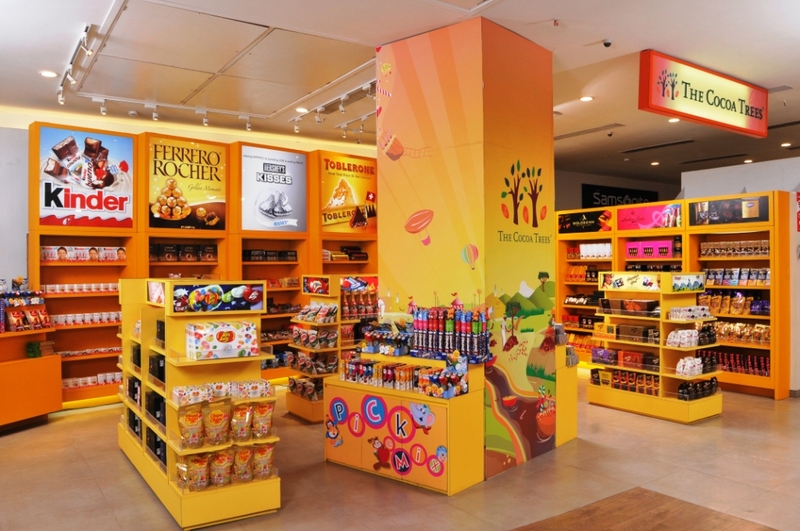 The Cocoa Trees incorporates retail store elements that encourage dynamic customer interaction, along with an ambience that is always aesthetically pleasing and welcoming, hence chocolate buying becomes a truly experiential affair. 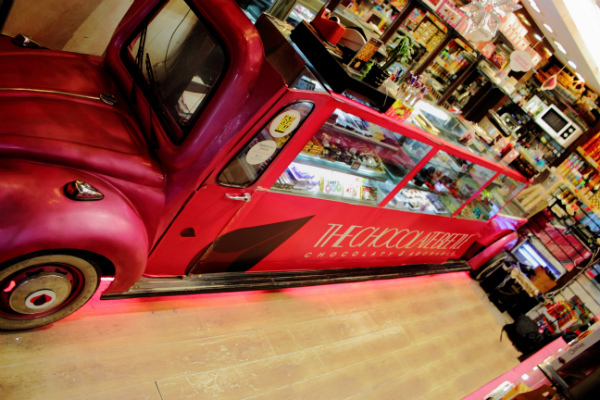 So if Chocolate is your thing, do visit these stores.